There is more to trade shows than just the event. Most articles on trade show displays focus on the event; making the most of the opportunity, creating and building the best trade show exhibit and finding and using the latest technology to stand out from the competition. These are all important, but there is more to a trade show than just the event. You’ve made a significant investment in your trade show display, kiosks, graphics and accessories. As a business professional, you want to ensure your investment lasts for more than just one trade show event. The best way to do that is to spend time focusing on the three S’s. How are you going to get your trade show exhibit to and from the venue? Unless you have an eight foot table top display that fits in your trunk and the event is within driving distance, you’ll most likely require assistance with trade show shipping. 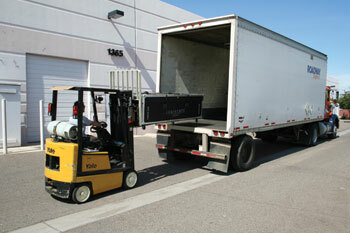 Not only do you want to ensure your exhibit arrives in tact, you always need to make sure it arrives! As trade show professionals in business for over twenty years, trust us – we have seen it all and a display not arriving on time for the event is more common that you might imagine. Engaging a trusted shipping vendor isn’t the only detail you will need to consider. The packing of your trade show exhibit also require special attention. A little bubble wrap won’t do the trick especially if your exhibit includes over-sized graphic displays, LED screens and hanging signage. Do the research. Look for a shipping carrier with experience in transporting large materials. Look for online reviews – are they careful with shipments, do they have a great rating for on-time delivery? Once your trade show displays arrive at the venue, you will need to set-up the exhibit. Each state and every venue have different rules which may or may not include the use of union laborers. Unless you have a history with a particular convention hall, you may not be aware of the regulations. Additionally, there are details associated with electricity, plumbing, Internet access, that require special knowledge. No to mention the equipment necessary to install larger exhibits. 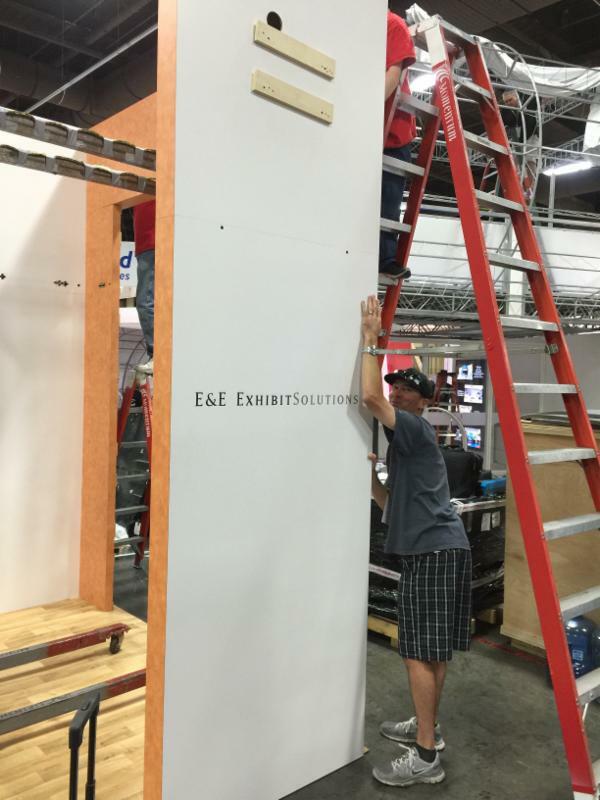 E&E Exhibit Solutions utilizes trained and highly experienced professional trade show laborservices at competitive rates to set up and dismantle your display in all major trade show-heavy cities throughout the U.S. These labor crews have been extensively trained on all of E&E trade show exhibit lines and they are provided with detailed set-up instructions so your display is set up quickly and handled with care. The same goes with ensuring the care of your trade show components after the event is over. Make sure you use qualified and trained professionals to take down your display and carefully pack in shipping container so it is ready for set up at the next event. The last S of your trade show display is exhibit storage. For some, you may be able to store in a corner of the mail room, in the president’s garage or a walk-in hall closet at the office but for most – storing your trade show exhibit can be a challenge. Once again, it becomes a question of protecting your investment. If your trade show exhibit is stored in a variety of locations due to space issues or perhaps kept in a location where temperatures are not regulated, the display you try to set up next time may not look as pristine as it did the first time. 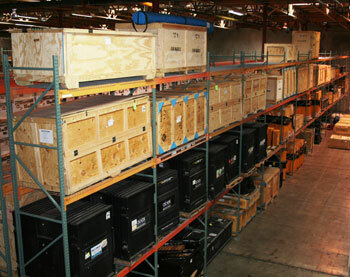 E&E has a dedicated warehouse specifically engineered to store and protect thousands of trade show components. Our facility is temperature controlled, maintained by a state-of-the-art inventory control systems and supervised by a staff of professionals in additional to 24-hour surveillance. Your trade show exhibit is safe, secure and stored in tact until you require it shipped to your next event. Need help with the 3 S’s? Call us.